New Jersey’s Transportation Trust Fund (NJTTF) supports municipalities with grants for local infrastructure projects and by funding projects statewide. The NJTTF will go bankrupt by July unless legislative and gubernatorial action is taken. The following grants for Gloucester County are frozen until the Transportation Trust Fund funding crisis is resolved. 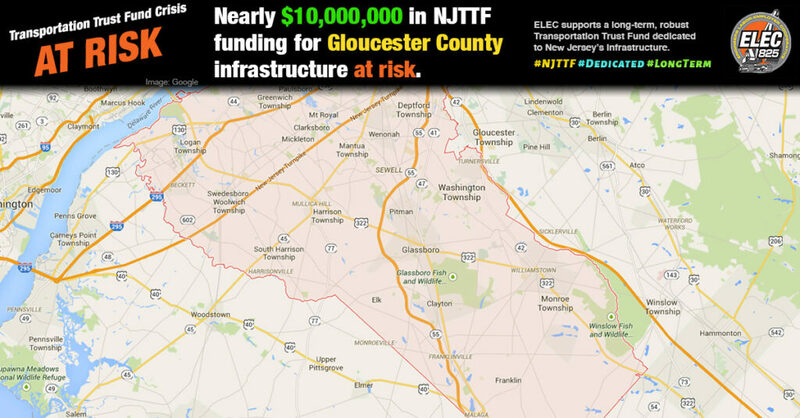 The following infrastructure projects for Gloucester County are at risk if the Transportation Trust Fund runs out of money this summer.